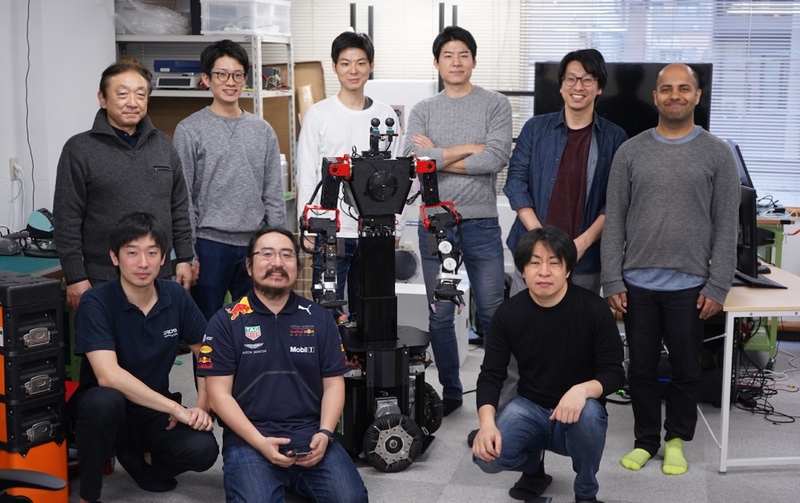 Japanese telexistence robotics startup Gitai (formerly MacroSpace) announced today that it has appointed humanoid scientist/engineer and former Founder/CEO of Schaft Yuto Nakanishi as COO. Schaft was founded back in 2012 and subsequently secured funding from TomyK and Tsuneishi Partners. It won the US Defence Advanced Research Projects Agency (DARPA) Robotics Challenge trials in 2013, and was later acquired by Google (name at the time of acquisition). 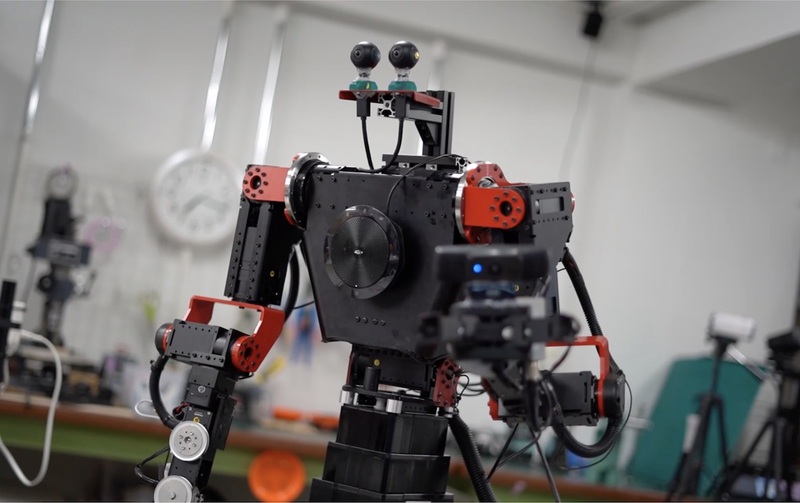 Since then, Schaft had been developing robots at a new technology development company called X (formerly Google X) operating under Google’s stock holding company Alphabet, but the Schaft project shut down in November of last year. Gitai was initially focused on the telexistence technology which connects an operator and a robot in two different locations. Since its participation in the 9th batch of the Tech Lab Paak accelerator in 2017, it appears the company has been trying to shift the business to the space sector. The cost of operating the International Space Station (ISS) tops several trillion yen or more worldwide, with Japan supplying several hundred billion yen or more of the cumulative total. Around half of the cost comes from training astronauts, their travel between the Earth and the ISS, and transporting the necessary items to maintain life on the ISS. As astronauts are human, the amount of time spent performing tasks and the range of such activities are limited, and since we cannot ignore the effects of weightlessness and space radiation, astronauts who reach a certain period of time on their mission must return to Earth. Additionally, a variety of tests are conducted on the ISS; however, there are limits to carrying out these experiments in each field and all alone as each astronaut specializes in different fields. If robots can be sent to the ISS and remotely controlled from Earth, it is possible to reduce the number of astronauts sent. If the ISS robot operators work in shifts, experts in all fields are able to carry out their experiments remotely, all day, every day. If robots can replace some of the extremely costful industries being employed, perhaps there is room to turn this into a business. It seems Sho Nakanose, Founder & CEO of Gitai, thought so. With the Trump administration in the US announcing a policy shift in the operation of the ISS to the private sector (from NASA to space startups), the US has seen a remarkable increase in the momentum of space startups. Following the US movement to contribute 80% of the ISS operating costs, Japan is also looking for ways to cooperate with space startups through JAXA, one example being the ISS experimental module “Kibou”. It may still take awhile for robots to operate autonomously, but if we can provide telexistence with detailed, high-definition but low-latency video and operability, it should be valuable enough. Whether it is robots for businesses, or robots for consumers, an overwhelming reduction in cost is needed to bring it to the level of mass production that could cope with the widespread use of robots. As a matter of fact, this is probably the reason behind X’s abandoning Schaft’s operations. In contrast, a robot using telexistence for space missions would be able to make enough money for startups to continue doing business for as long as there is a demand. Lower cost means that the profit rate for each robot is also lower, which makes mass production necessary, but it is still going to take time for a fully autonomous robot to reach the market. Google allowed me to do it for five years, and I feel like I took it as far as I could, but after reaching this conclusion I decided to move on. Contrary to Nakanishi’s previous dealings in the world of cost consciousness, in the space robot market companies can make a profit by selling just one. Furthermore, since there is no requirement to be fully automatic from the beginning, Nakanishi judged Gitai as the place where he can make the most use of his knowledge as a humanoid engineer. According to him, the hardware and software for fully autonomous robots are still unable to keep up with the the abilities of humans and the speed of human movement. As a robot researcher, if someone else is able to do this, I feel like I don’t want to admit it (laughs). But, if there is a place where you can accomplish what you want and get paid to do it, well, that’s the best. (If it’s not completely autonomous) Many people may place blame on it but you’d better ignore them (laughs). I want to produce a robot that can actually be used. 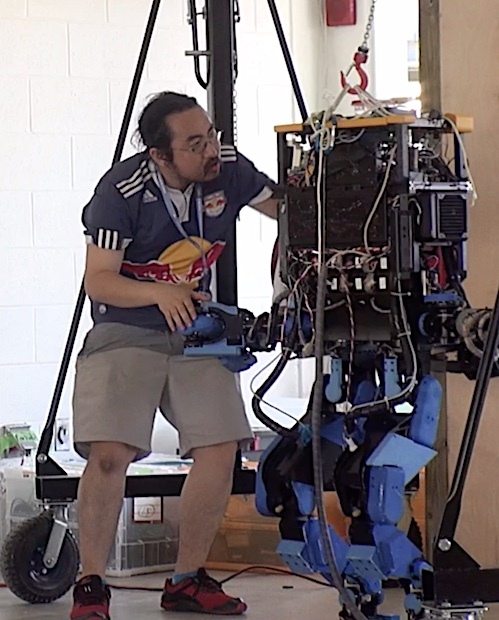 Nakanishi has been developing a robot that mimics the motions of the lower half of the human body at Schaft. But now he will work to produce a robot that produces movements as similar as possible to those of the upper human body at Gitai. 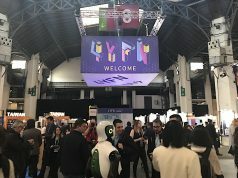 The day when the technologies developed by the same humanoid scientist at different startups go on to be acquired by Google, uniting the upper and lower bodies in real life, may not be just a dream. 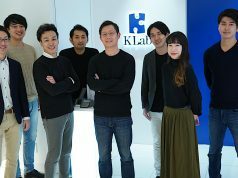 Gitai has enrolled several engineers from the Univesity of Tokyo’s Graduate School of Information Engineering, Nakanishi’s alma mater, such as CTO Toyotaka Kozuki (former mechanical engineer at Japanese personal mobility startup Whill) along with VP of Software Development Ryohei Ueda (formerly software engineer at Schaft). Gitai has transformed almost imperceptibly into an assembly point for some of the world’s top robotics authorities. 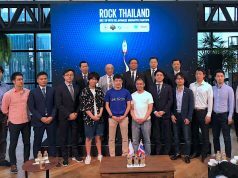 Gitai raised 15 million yen (about $134K US) from Skyland Ventures in a seed round in September 2016, and then raised $1.25 million US from ANRI and 500 Startups Japan (at that time) in a seed round in December 2017.